The HEC Montréal team of some thirty BAA students took second place overall at the 17th edition of the Marketing Happening. From March 27 to 29, this interuniversity competition brought together competitors from 11 Canadian universities, all member institutions of the Students' Association of Management Faculties of Eastern Canada (SAMFEC). 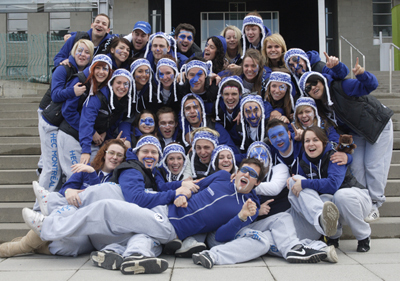 Participants competed in six academic events as well as a number of social and sports events. To prepare for the academic challenges, the HEC Montréal delegation were coached by Professor René Gendreau (marketing communication case), lecturers Pablo Gray (international marketing case) and Michel Laurin (strategic marketing case), all three from the Department of Marketing, and two final-year BBA students, Pierre-Luc Camirand (relational marketing case) and Mathieu Gagnon (business to business case).